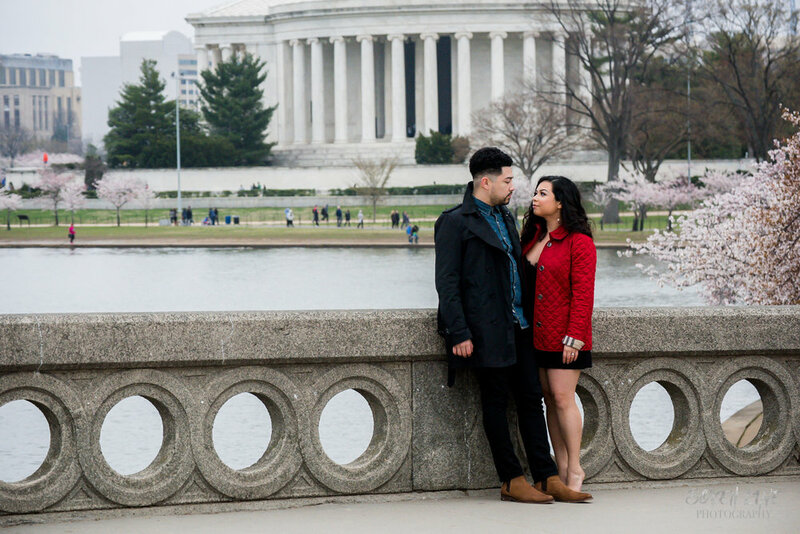 Both native to DC, Mayra and Frank wanted an iconic DC Engagement Session and we found that amongst the National Cherry Blossoms outside the Jefferson Memorial! Mayra and Frank, wore matching Burberry Jackets that added just the right amount of red pop for the overcasty morning session! As we made our way around the grounds, Mayra brought along some of the cutest shoes along to switch it up a bit! We can’t wait to photograph their wedding in the fall at Catoctin Hall at Musket Ridge!